BADME, Ethiopia, Jun 18 2018 (IPS) - The utterly inconsequential-looking Ethiopian border town of Badme is where war broke out in 1998 between Ethiopia and Eritrea, lasting two years and devastating both countries. This has included the prime minister linking the political, social and economic transformation in Ethiopia to regional dynamics, especially Eritrea, with which Ethiopia once had particular close economic, cultural and social ties—Eritrea was part of Ethiopia until gaining independence in 1991. “Every Ethiopian should realise that it is expected of us to be a responsible government that ensures stability in our region, one that takes the initiative to connect the brotherly peoples of both countries and expands trains, buses, and economic ties between Asmara [the Eritrean capital] and Addis Ababa,” Abiy announced. 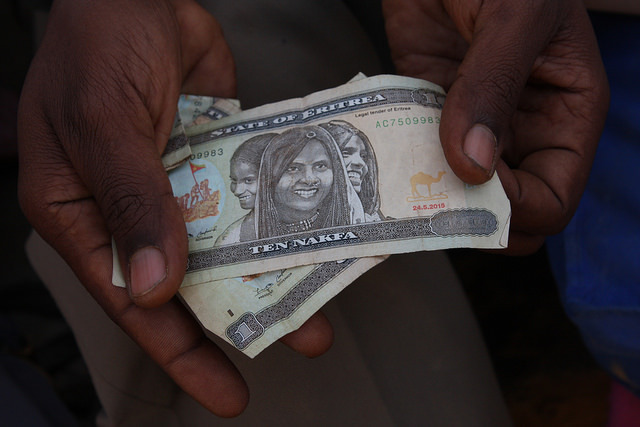 The rift between Eritrea and Ethiopia has had significant regional fallout. Both countries have engaged in hostile activities against each other, including proxy wars in the likes of neighbouring Somalia, thereby destabilising an already volatile region. Meanwhile, Eritrea continued to come off worse against Ethiopia’s stronger regional sway and diplomatic clout, becoming increasingly isolated, and subjected to international sanctions. As a result, life became increasingly miserable for Eritreans—hence the unending exodus of Eritrean refugees into Ethiopia—as their government used the border war with Ethiopia and the subsequent perceived existential threats and belligerencies against Eritrea as an excuse for the state becoming increasingly repressive and militarised, with its leader Isaias Afewerki tightening his ironclad rule. But the Eritrean government’s narrative has had the rug pulled out from under it. Previously, the Eritrean government has consistently demanded full compliance by Ethiopia with the EEBC’s decision and unilateral withdrawal of all troops from the disputed territories before any chance of normalizing relations—a demand that fails to take account of the EEBC’s terms and the complex situation on the ground. It’s unlikely to be easy. Already in Badme and in other of the disputed territories, both Eritreans and Ethiopians are protesting Abiy’s decision to implement the commission’s arbitrarily drawn border that would divide communities between the two countries. Furthermore, across Tigray, Ethiopia’s most northern region that straddles the border, there are reports of increasing anger and protests about the announcement, while the Tigrayan People’s Liberation Front regional party that has dominated Ethiopian politics since its founders spearheaded the 1991 revolution that brought the current government to power has issued a veiled warning to Abiy. 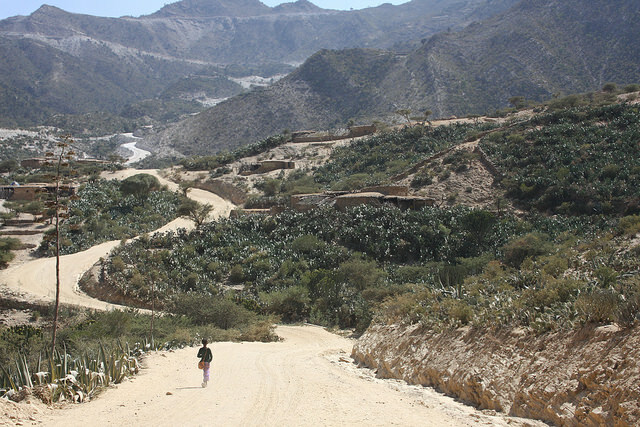 Tigray’s proximity to Eritrea and the previous war means its people are acutely sensitive to the potential ramifications, which is further complicated by how people on both sides of the border share the same language – Tigrinya – as well as Orthodox religion and cultural traditions: a closeness that can also heighten resentment. In 1998 Eritrea invaded Badme before pushing south to occupy the rest of Ethiopia’s Yirga Triangle, claiming it was historically Eritrean land. Ethiopia eventually regained the land but the fighting cost both countries thousands of lives and billions of dollars desperately needed elsewhere in such poor and financially strapped countries. At the time of the EEBC’s ruling on Badme, the Ethiopian government felt the Ethiopian public wouldn’t tolerate the concession of a now iconic town responsible for so many lost Ethiopian lives—hence it and the rest of the Yirga Triangle remained jutting defiantly into Eritrea, both figuratively and literally. In addition to potential internal resistance from the Ethiopian government’s TPLF old guard, coupled with potential intransigence from the Asmara regime, the reaction of the international community could also play a significant role. Ethiopia is at a potentially exciting crossroads—though nothing is assured, and may well hang in the balance, one that the international community can influence due to Ethiopia’s increasing integration in the global system. Depending on what happens next, the repercussions for Ethiopia and Eritrea, and the wider Horn of Africa region, could be enormous.